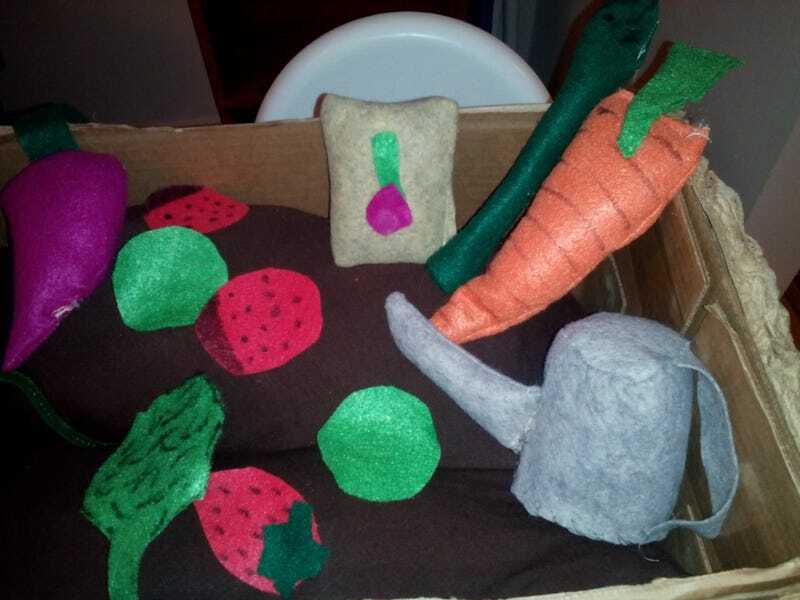 A felt garden! The "soil" is a really a fiberfill pillow with rayon fabric in potting soil. Everything is felt! I am super proud of the seeds and the watering can. And we cut eggshell material and glued it to the front. We plan to paint grass on it. Any other suggestions for my daughter's garden?